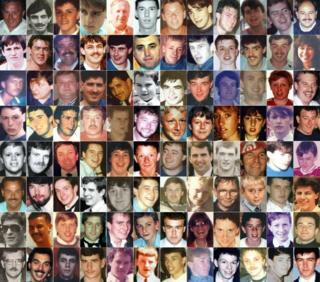 Lack of leadership and poor decision making led to overcrowding outside Hillsborough on the day of the tragedy, a policing expert has told a court. Douglas Hopkins, an ex-Metropolitan Police match commander, said Hillsborough match commander David Duckenfield left the police control room too late. He added he made a "fatal mistake" in letting fans in the ground via an exit gate without telling officers inside. The 74-year-old, of Ferndown, Dorset denies gross negligence manslaughter of 95 people. Mr Hopkins, who was a match commander at Arsenal's Highbury ground in the late 1980s and early 1990s, told Preston Crown Court Mr Duckenfield should have left the stadium's police control box and gone to the Leppings Lane turnstiles at 14:17 GMT when Supt Roger Marshall asked for the road to be closed as crowds built up. The court has heard the former chief superintendent made the decision to open exit gates to the ground to relieve the crush outside at 14:52 - after three requests from Supt Marshall. When asked what led to the overcrowding outside, Mr Hopkins said it was "lack of leadership shown by Mr Duckenfield and poor decision making that has led to Supt Marshall demanding at 14:47 that exit gates be opened to save life and limb". Mr Hopkins told the court although Mr Duckenfield had only taken on the role of match commander weeks before the 1989 FA Cup semi-final between Liverpool and Nottingham Forest, he said the role required the former South Yorkshire Police chief superintendent "to prepare himself fully and diligently" and his 29 years of experience in the police "should have been sufficient". Mr Hopkins was also asked about the entrance to the Leppings Lane terrace, where the fatal crush took place. He said it was "essential" that a tunnel, leading to the central pens of the terrace, was policed, and there should have been better signs highlighting the side areas of the terrace. "In briefings, Mr Duckenfield emphasised evacuation and safe routes, what in fact he was doing there was evacuating a large number of supporters from what was a difficult and dangerous situation, he evacuated them into another area but not providing them with safe passage." Mr Hopkins, who worked as a crowd control adviser for the FA after retiring from the police, said he thought Brian Mole, the commander who Mr Duckenfield replaced, would have been more appropriate to have been in charge of the match on the day. Mr Duckenfield is on trial alongside Sheffield Wednesday's ex-club secretary Graham Mackrell, 69, who denies a charge related to the stadium safety certificate and a health and safety charge.